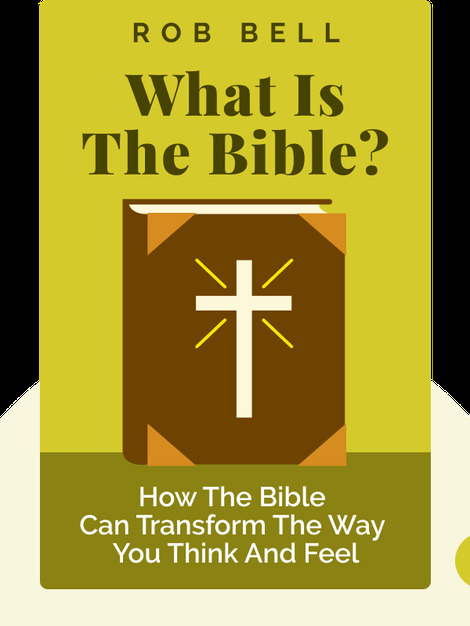 What Is the Bible? (2017) takes a fresh look at the best-selling book of all time: the Holy Bible. These blinks take the Bible for what it is – a conglomeration of books written by real people in real historical contexts that are at once subversive, timeless and transformative. Rob Bell is the New York Times best-selling author of Love Wins, among other titles and founder of the nondenominational Christian megachurch Mars Hill Bible Church. In 2011, he was named one of the “100 Most Influential People in the World” by TIME magazine.